Creation of this resource was inspired by a problem posted by Catriona Shearer (on Twitter). The 2 LARGE POINTS are moveable. 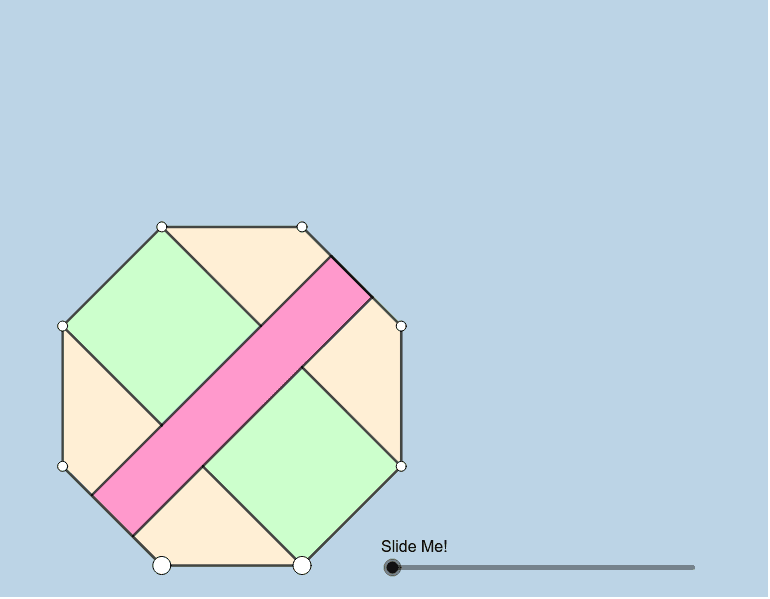 The octagon shown here is regular. The green quadrilaterals are squares with equal areas. Lines and segments that appear to be parallel ARE parallel. How can we formally prove what is dynamically illustrated here?